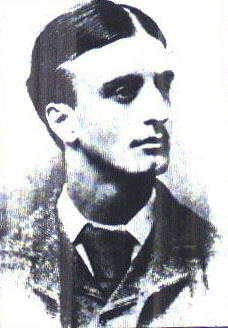 Montague John Druitt -- A graduate of Winchester College and an avid sportsman who was discovered drowned in the Thames river on December 31, 1888. He is considered by many to be the number one suspect in the case. Interestingly enough, there is very little evidence with which to implicate his guilt. 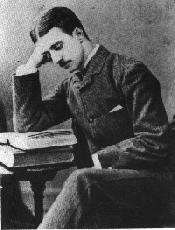 Educated at Winchester and New College, Oxford, Druitt was later to graduate with a third class honours degree in the classics in 1880 (Sugden). As much a sportsman as a speaker, Druitt was granted a spot in the Winchester First Eleven (cricket) in 1876 and was a member of the Kingston Park and Dorset Country Cricket Club. He was noted to have had formidable strength in his arms and wrists, despite his gaunt appearance in surviving photographs. Druitt also became quite talented at Fives, winning the Double and Single Fives titles at Winchester and Oxford. On March 9, 1875, he placed third in a cricket ball throwing event at Winchester, with a toss of over ninety-two yards. Immediately after graduation, Druitt began teaching at a boarding school in Blackheath. In 1881 Druitt was introduced into the local membership of the Blackheath Hockey Club and later began to play for the Morden Cricket Club of Blackheath. The next year, in 1882, Druitt again decided to focus on a law career, and was admitted into the Inner Temple on May 17. On April 29, 1885 he was called to the bar. The Law List of 1886 places him in the Western Circuit and the Winchester Sessions. The next year he is recorded as a special pleader for the Western Circuit and Hampshire, Portsmouth and Southampton Assizes (Sugden). In 1885 his father passed away as a result of a heart attack, leaving a total of £16,579 inheritance, but leaving Montague and his two older brothers a slim cut. Tragedy struck again in July of 1888, when his mother Ann (née Harvey) succumbed to mental illness and was confined in Brook Asylum in Clapton. Yet through this tumultuous times it seems as if Druitt had managed his affairs quite admirably. He was nominated for membership of the Morden Cricket Club in 1883, and elected on May 26 of the next year. His subscriptions (which were unenviable) were nevertheless paid in full at the time of his death. Druitt was later appointed treasurer and honorary secretary of the Blackheath Cricket, Gottball and Lawn Tennis Company in 1885. His address was then given as 9 Eliot Place, Blackheath. And so it went that Druitt seemed to have been able to cope with the loss of both his parents within the small space of three years. But in late November of 1888, it seems that one final straw had broken the camel's back, as Druitt was found on Monday, December 31, 1888 floating in the Thames river. "William H. Druitt said he lived at Bournemouth, and that he was a solicitor. The deceased was his brother, who was 31 last birthday. He was a barrister-at-law, and an assistant master in a school at Blackheath. He had stayed with witness at Bournemouth for a night towards the end of October. Witness heard from a friend on the 11th of December that deceased had not been heard of at his chambers for more than a week. Witness then went to London to make inquiries, and at Blackheath he found that deceased had got into serious trouble at the school, and had been dismissed. That was on the 30th of December. Witness had deceased's things searched where he resided, and found a paper addressed to him (produced). The Coroner read the letter, which was to this effect: - "Since Friday I felt I was going to be like mother, and the best thing for me was to die." Witness, continuing, said deceased had never made any attempt on his life before. His mother became insane in July last. He had no other relative. As Sugden points out, the date given of December 30th is both ambiguous and impossible. The wording alone makes it possible that it was in reference to either William's inquiries or Druitt's dismissal. If it was in reference to the former, it is doubtful that William would wait nineteen days after receiving word that his brother was missing to inquire into his whereabouts at Blackheath School. If it referred to the latter, however, it is impossibly incorrect, as Druitt was discovered the day after the 30th of December, and was estimated to have been in the water for upwards of three weeks or more. Sugden concludes, with reasonable certainty, that December 30th is a misprint for November 30th, a date which makes much more sense. Assuming it was November 30th on which occurred Druitt's dismissal, the few facts of the case fall nicely into place, assuming it was his dismissal which finally prompted his suicide. The 30th was a Friday, which hearkens back to his suicide note: 'Since Friday I felt I was going to be like mother, and the best thing for me was to die.' Also, remember that among his possessions were two cheques for £50 and £16, respectively. They may have been settlement cheques of Druitt's salary written upon his dismissal. Finally, there was also found an unused return ticket from Hammersmith to Charing Cross dated December 1. Still, another question arises: when did Druitt commit suicide? His tombstone places the date at December 4th, most probably by William's testimony that "on the 11th of December [the] deceased had not been heard of at his chambers for more than a week." Yet notice the use of the word more -- this suggests a date before the 4th of December. Sugden places the date as December 1st, the day after his dismissal. This paints a picture of a successful barrister, suddenly overwrought by his dismissal at his second job in Blackheath. He accepts his two settlement cheques from his former employer and sulks home, thoughts of suicide entering into his mind. The next morning he writes his little note, walks toward the Thames with four stones in each pocket, perhaps glances at his cheques one last time, and throws himself into the icy water. It all seems to make sense. Everything, except for motive that is. Druitt was still a successful barrister, and the school position was only a secondary means of earning money. He was rather high and well-known in the social stratus, and could easily have found another job if need be. So why the suicide? Two prominent possibilities arise -- first, the aforementioned implications of his homosexuality. Still, only conjecture, but perhaps his vice was discovered and he couldn't bear the embarrassment? More plausible, however, was that Druitt's mind was slowly deteriorating. The death of his father in 1885, and the committal of his mother only six months before his death could very well have played a heavy part in the matter. Furthermore, mental illness seems to have run in the Druitt family. Ann Druitt, his mother, was later to die in the Manor House Asylum in Chiswick in 1890, having suffered from depression and paranoid delusions. She once attempted suicide by overdosing on laudanum. Her mother before her had committed suicide, and her sister had tried to kill herself as well. Montague's oldest sister killed herself in old age by jumping from an attic window. And so it must stand -- suicidal tendencies ran in the Druitt family, and it most probably was an overreaction at his dismissal which prompted him to follow suit. Regardless, the inquest was held Wednesday, January 2, 1889 before Dr. Thomas Diplock at the Lamp Tap, Chiswick. It was concluded that Druitt committed suicide 'whilst of unsound mind.' Unfortunately, the coroner's papers no longer exist. And so the story of Montague John Druitt ends, and his alleged involvement in the Whitechapel Murders begins. I have always held strong opinions regarding him, and the more I think the matter over, the stronger do these opinions become. The truth, however, will never be known, and did indeed, at one time lie at the bottom of the Thames, if my conjections be correct! Mr. M.J. Druitt a doctor of about 41 years of age & of fairly good family, who disappeared at the time of the Miller's Court murder, and whose body was found floating in the Thames on 31st Dec: i.e. 7 weeks after the said murder. The body was said to have been in the water for a month, or more -- on it was found a season ticket between Blackheath & London. From private information I have little doubt that his own family suspected this man of being the Whitechapel murderer; it was alleged that he was sexually insane. A Mr M. J. Druitt, said to be a doctor & of good family, who disappeared at the time of the Miller's Court murder, & whose body (which was said to have been upwards of a month in the water) was found in the Thames on 31st December - or about 7 weeks after that murder. He was sexually insane and from private information I have little doubt but that his own family believed him to have been the murderer. Evidence which supports Druitt's being the Ripper is all but non-existant. In fact, his only true link can be made in his appearance and his likeness to many witness accounts. All but one witness gave estimate of age close to Druitt's (31): P.C. Smith (28), Israel Schwartz (30), Joseph Lawende (30), and George Hutchinson (34-35). Elizabeth Long gave an age of forty, but she admitted she did not see the suspect's face. As for appearance, three major witnesses report the Ripper as having a moustache (which Druitt had), although the color varies from "dark," to "brown," to "fair." Druitt was also of respectable appearance, always known to have been well-dressed. All witnesses except for Lawende (who said the suspect had the appearance of a sailor) support this possibility: Long described a man of 'shabby genteel,' Smith and Schwartz both labelled the man as respectable, and Hutchinson went so far as to describe him as "prosperous-looking." In terms of build, however, Druitt falls short. He was a slender man, while witnesses described the man as being from medium to heavy build, stout, and broad shouldered. Almost unfailingly, the suspect was labelled consistently as "foreign-looking" and "a Jew." Other problems arise as well. It is generally accepted that the Ripper was an inhabitant of the East End (Sugden), but Druitt had little or no experience in or around the area of Whitechapel. He was living at 9 Eliot Place, Blackheath during the murders. But could that address have been used as a "base" for the murders? Sugden cites contemporary train schedules in order to disprove this theory. According to him, there was no all-night train service between London and Blackheath. The last train leaving Blackheath in 1888 left at 12:25 AM and the earliest leaving London for Blackheath was at 5:10 AM. Although for the Nichols (3:40 AM), Chapman (5:30 AM) and Kelly (4:00 AM) murders the Ripper may have been able to jaunt over to the station and take a train back to Blackheath with very little time wasted waiting for the first train to arrive, this does not hold true for Stride (1:00 AM), Eddowes (1:44 AM) or Tabram (2:30 AM). If the Ripper had killed them and needed to take a train back to Blackheath, Sugden claims, he would have to remain in the area for "perilous hours" just asking to be detected. Still, he admits, the killer could have remained in a common lodging house for some time, although a respectable man such as Druitt in such a place would seem suspicious. Tom Cullen, noted Druittist, argues that Druitt's known chambers at 9 King's Bench Walk could have been used, as they are within walking distance of the East End. Yet Sugden again refutes this, citing the Ripper's known movements on the night of the double murder. King's Bench Walk was west of Mitre Square (site of the second murder), and yet the killer is known to have gone north-east directly after killing Eddowes and dropped her apron in Goulston Street. Would the killer have risked detection by entering the lion's den northward if he had indeed planned to find refuge to the west? One of the most often quoted sources of evidence against Druitt, however, is his documented cricket schedule during the murders. On Friday and Saturday, August 3 and 4, Druitt was in Dean Park, Bournemouth. He was there again on August 10 and 11 playing the Gentlemen of Dorset. Tabram was killed on Tuesday, August 7. Would it not make sense that Druitt would have stayed in the region of Bournemouth if he was playing two consecutive weekends? Furthermore, Druitt was known to have played for Canford, Dorset, against Wimborne at Canford on September 1st, the day after Nichols' murder. On September 8th (day of Chapman's murder) Druitt played at 11:30 AM against the Brothers Christopherson on the Rectory Field at Blackheath. This provides no conclusive evidence against Druitt, but it does seem unlikely that he could have killed Chapman at 5:30 AM and had time to catch a train to Blackheath, remove his bloodied clothes, was up, eat breakfast, and be on the field by 11:30. Especially considering that he would probably have been prowling the streets the entire night before (Sugden). And so goes the arguments of those who believe Druitt could not have been the Ripper. But how could Macnaghten have made such a seemingly groundless claim? Some contend that it was because he was horrendously underinformed of the case, and based his theory on mere memory. When Macnaghten says in the memoranda, "from private information I have little doubt but that his own family believed him to have been the murderer," one must look closely at the diction of that statement. Notice how he has little doubt but not absolute evidence. We have no clues as to who the informant was whom Macnaghten refers to, but from the way he words his statement, it would seem as if it would have been a Druitt family member. And yet if one of Druitt's relations had informed Macnaghten that they believed he may have been the Ripper, would Macnaghten not rather have said he has evidence that Druitt's family believe him to be insane? This leads one to believe that perhaps Macnaghten was basing his claims on hearsay and rumour, rather than actual private information he himself received. Another statement made by Macnaghten was that the Ripper's brain, "after his awful glut on this occasion (Kelly's murder), gave way altogether and he committed suicide; otherwise the murders would not have ceased." And yet there is still, to this day, no evidence which shows that serial killers can not simply stop killing. According to Sugden, "more recent experience ... seems to demonstrate the contrary." Furthermore, there are other reasons besides suicide which could have prevented the Ripper from continuing his crimes after Kelly, such as incarceration (in prison or an asylum), emigration, accidental or natural death, or even a bout of sickness. Even more damning is the statement that "despite the dramatic increase of such crimes in recent decades, no major offender is known to have committed suicide. (Sugden)"
What's worse are the many errors in Macnaghten's notes regarding Druitt. He stated that Druitt lived with his family, but records show that he lived alone at 9 Eliot Place. He stated that Druitt had committed suicide around the 10th of November, three weeks before it actually occurred. He stated that Druitt was about 41 at the time of his death, overestimating by ten years. Finally, he mentions Druitt as being a doctor, when he was a barrister and schoolmaster. Still, Macnaghten was an intelligent man, and it is doubtful he would have placed such merit in a suspect without due cause. Perhaps more evidence or documents will be found in the future which may shed some light on Macnaghten's motives behind Druitt. Regardless, the case for Druitt being the Ripper seemed almost cemented by Dan Farson in 1959, upon his discovery of a man who claimed to have remembered a pamphlet being distributed in Australia around 1890 entitled "The East End Murderer -- I knew him." It's author, claimed Mr. A. Knowles (Farson's informant), was Lionel Druitt, Drewett or Drewery. The fact that Lionel Druitt, who was Montague's cousin, had left to live in Australia in 1886 only excited the investigators more, and they left to research the possibility. The men were horribly disappointed. All they found was a shoddy story of a Mr. W. G. Fell of Dandenong who claimed to have definite proof of the Ripper's identity, but refused to give it out unless he received a £500 reward. No one by the name of Fell was ever recorded in Dandenong in 1890. And so it appears that the pamphlet memories of Mr. A. Knowles was just a confusion of facts between Druitt and Deeming. The Melbourne Evening Standard of April 8, 1892 carried the headline; "JACK THE RIPPER: DEEMING AT ALDGATE ON THE NIGHT OF THE WHITECHAPEL MURDERS." This was denied by Deeming's attorney, who rightly proclaimed that he (Deeming) was serving a sentence in South Africa during the fall of 1888. Nevertheless, it was found that Deeming assumed the name of Druin or Drewen shortly after arriving in Australia in 1891. Although there is no proof, it is most likely that Knowles' memory confused Deeming's aliases with Druitt's name, and that either the aforementioned headline or a similar one (of which there were many in those days) had prompted belief in a pamphlet. Also of interest is an occurrence which happened in March, 1889. According to Dr. Thomas Dutton, Albert Backert, a high-standing member of the Whitechapel Vigilance Committee, had set forth his displeasure that "there seemed to be too much complacency in the force simply because there had been no more murders for some months." cause pain to relatives if we said any more than that. Dutton's source on this is unknown, but if true, this is of extreme importance -- if this happened in March of 1889, then it suggests police interest in Druitt as a suspect before Macnaghten, who didn't join the force until the summer of 1889: two months after this alleged incident. You can state most emphatically that Scotland Yard is really no wiser on the subject than it was fifteen years ago. It is simple nonsense to talk of the police having proof that the man is dead. I am, and always have been, in the closest touch with Scotland Yard, and it would have been next to impossible for me not to have known all about it. Besides, the authorities would have been only too glad to make an end of such a mystery, if only for their own credit. And so remains the case of Druitt. His acceptance as a Ripper suspect must lie in the belief that Macnaghten had more information than he wanted others to know -- information which he claims he destroyed so as not to cause an uproar. One must also contend that Druitt could have fit committed the murders in time to return to his cricket games, especially in the cases of Nichols and Chapman. If those two queries can be answered in the positive, than Druitt deserves recognition as a leading Ripper suspect. If not, his inclusion as a suspect must be attributed to the sole opinions of Macnaghten, based on hearsay and memory.